the vehicle. While Deputies were at the residence, the victim received a phone call from their spouse who stated they were behind the stolen vehicle and were following it. The victim allowed the Deputy to take their phone for communication purposes to locate the vehicle. The Deputy located the vehicle and a pursuit ensued for a short distance. The suspect in the stolen vehicle fled the scene on foot after the vehicle stopped. A thorough search of the area was completed, but the suspect could not be located. A short time later, the Deputy received another call for service about a suspicious person in the area of where the search was conducted. The Deputy went to the scene and located the suspect in the pursuit/theft of vehicle. The victim identified the suspect as the one leaving the area in their vehicle. 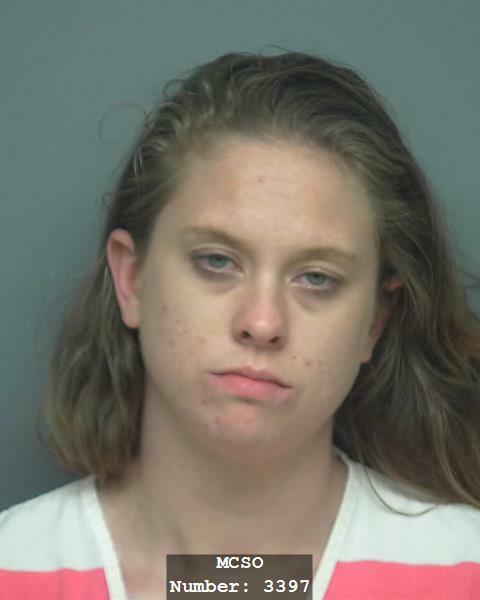 The suspect was identified as Haley Moody DOB 12/17/1991. Haley was arrested for Unauthorized Use of Vehicle and Evading Arrest or Detention in a Vehicle.